Mondraker; aren’t they the Spanish brand with the really long top tubes? Yes, Mondraker’s Forward Geometry concept throws conventional thinking about bike fit and sizing out of the window and focusses on improving the handling, particularly when you’re going fast and pushing hard. 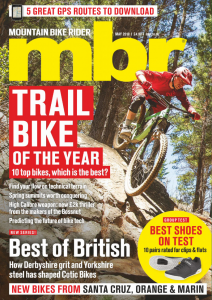 After all, mountain biking is a dynamic activity, and adopted road bike wisdom about sizing – where you’re basically sitting still for hours on end – doesn’t apply. So, to sharpen the steering Mondraker has shortened its stems (all Foxy Carbons get a 30mm stem), then added length to the top tube and front centre measurements to improve stability and bring the rider mass rearward – helping on fast/steep trails and reducing the chances of going over the bars. After all that, the handlebars are in the same place as they would be with conventional geometry, but the front wheel is further away. So where does the Foxy sit in the range? It’s Mondraker’s biggest selling model – a 140mm travel trail bike with 650b wheels. So it makes sense that this is the first carbon full-suspension bike Mondraker has produced. How much lighter is the carbon bike? The Foxy uses a full carbon construction, that’s front triangle and swingarm, so the weight saving is a healthy 400g. To put that into some context, a medium frame alone, without shock, weighs 2.1kg (4.6lb) and, in flagship XR spec, builds into a 11.9kg (26.2lb) machine. So reasonably light for a versatile trail bike, and certainly enough of a weight saving to be able to feel the benefits on the trail. If you’ll excuse the pun, is it just a carbon copy of the aluminium Foxy? Well, yes and no. 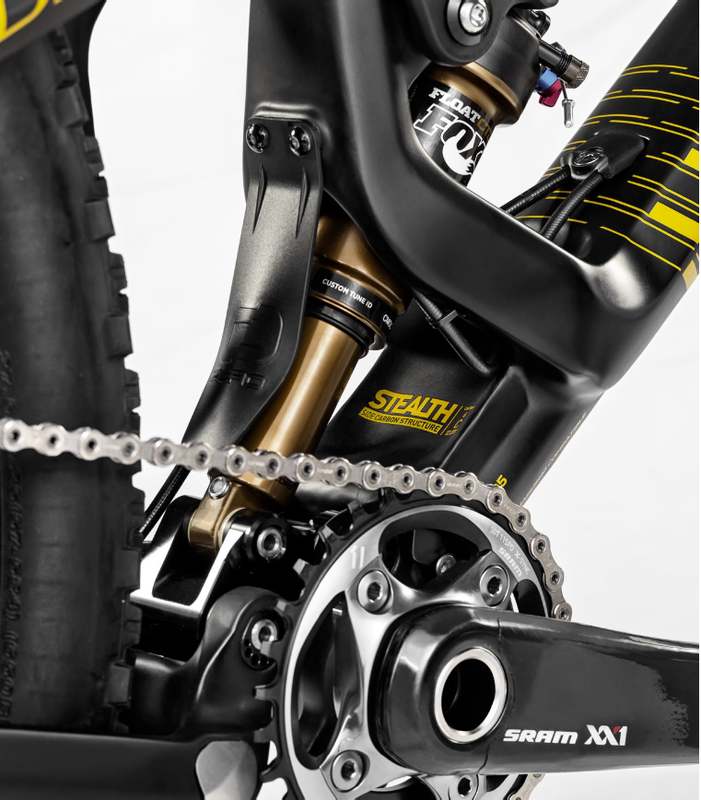 The geometry and kinematics of the twin-link Zero suspension are completely unchanged from it’s metal sibling. 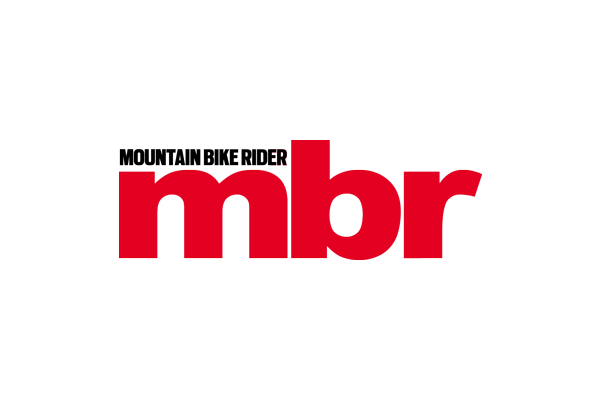 But aesthetically it’s subtley different – we’d say for the better – and there are benefits to the ride quality of the bike that go beyond just the headline weight saving. Without wishing to be too unkind, the hunchback top tube of the aluminium Foxy is hard to fall in love with. On the carbon bike however, this hump is far less pronounced; blending nicely into the top tube and creating a line all the way to the rear dropouts. The brace behind the head tube has been sculpturally integrated into the front triangle, making it much more of a visual feature than a tacked-on afterthought. There has also been refinement of the seat tube brace and there’s a new, cantilevered design for the seat tube as it wraps around the shock. With a raft of other well-chiselled details, we think Mondraker has done an impressive job and the result is stunning. Invisible to the naked eye, but equally important, is what’s going on beneath the skin. Dubbed Stealth Carbon, Mondraker has spent a long time making sure there’s the right blend of strength, stiffness and weight, and the finished product has evolved out of the evaluation of ten different carbon lay-ups. No new bike launch is complete without a long list of acronyms, and the Foxy is no different in that respect. To start with there’s HHG, or Hidden Housing Guide, which is just a fancy way of saying internal cable routing. But there are also sleeves inside the frame to make removing and installing hoses and cables much simpler. ISCG05 refers to the Foxy’s chain guide mount, and there’s also a removeable front derailleur mount and single-ring compatibility. There’s an aluminium protector for the chainstay, mudguard for the shock, moulded chainstay protector and down tube guard. 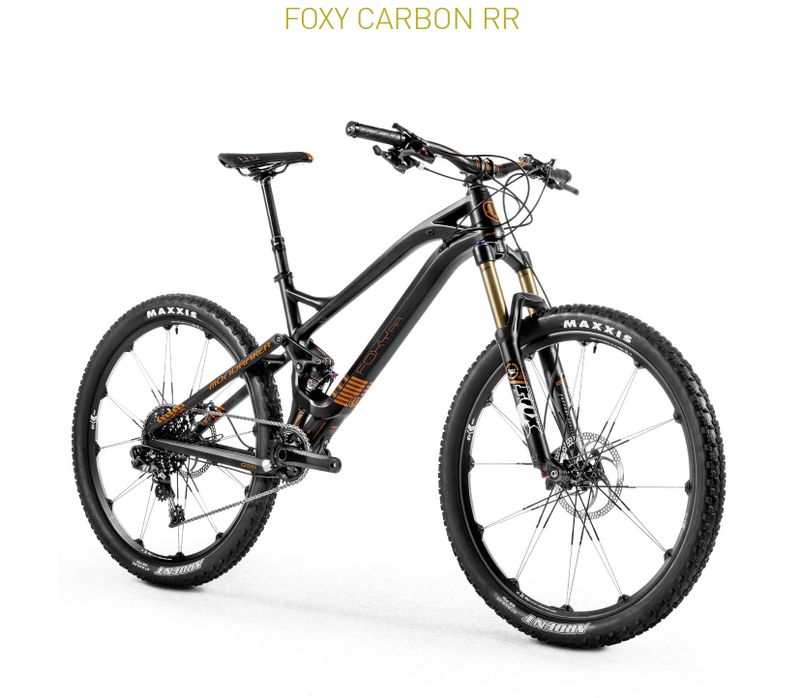 Sounds expensive; how much will one of the new Foxy Carbon bikes set me back? There are four bikes in the range, but only three will be coming to the UK. Top of the line is the all-singing, all-dancing Foxy XR, draped in a SRAM XX1 drivetrain, Fox 34 Talas CTD fork with Kashima coating and 160mm travel, Fox Float CTD Kashima shock and CrankBrothers Iodine wheels. Price is £5,999. Finally, there’s the Foxy Carbon R with Performance level Fox forks and shock, Shimano XT/SLX 2×10 drivetrain and DT M1900 Spline wheels priced at £4,399. Despite being designated 2015 models, you should actually be in stock at your local Mondraker dealer now.